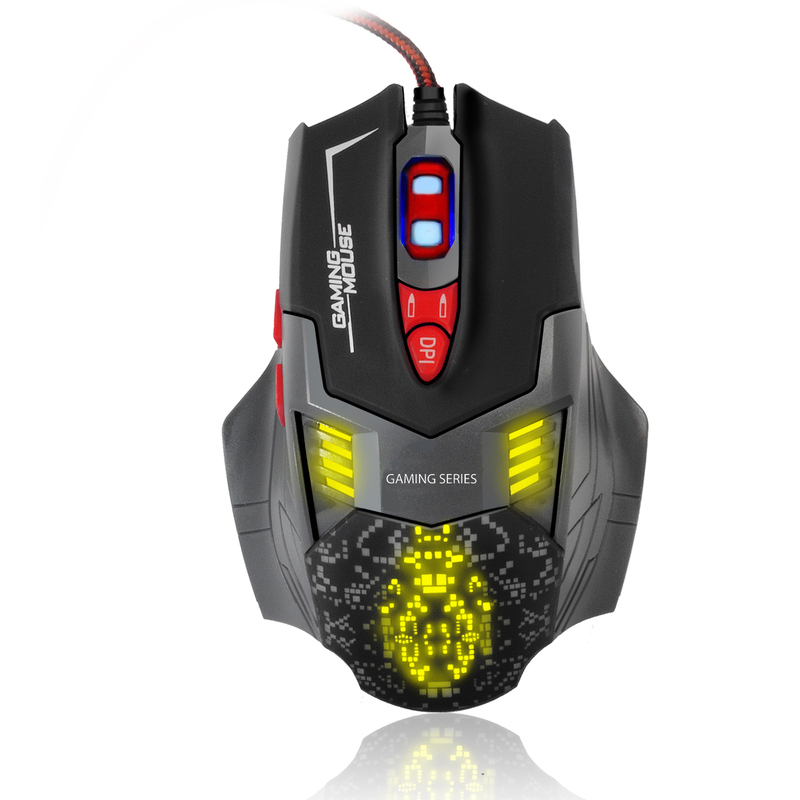 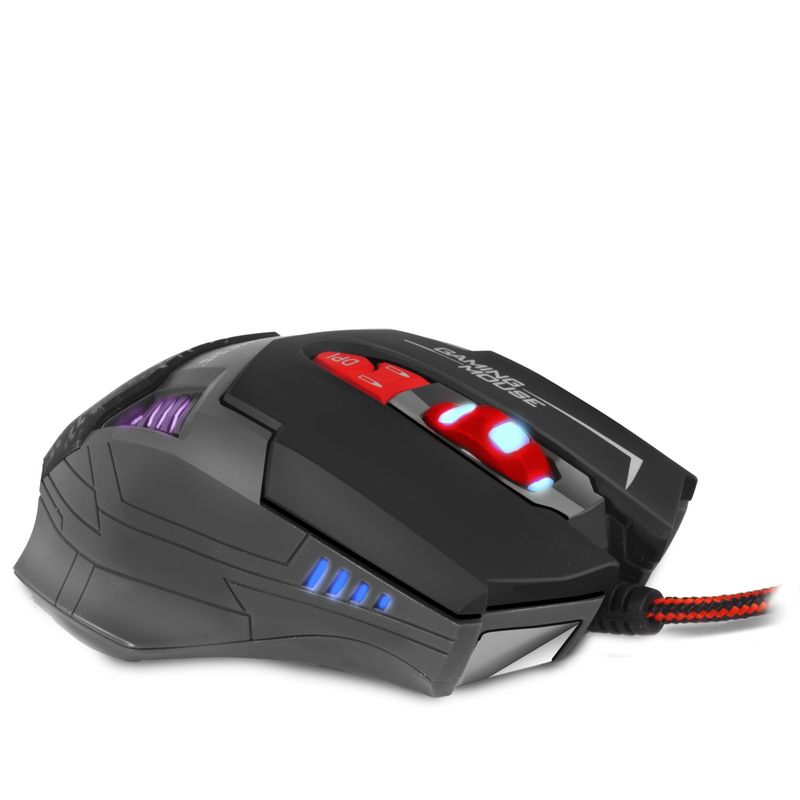 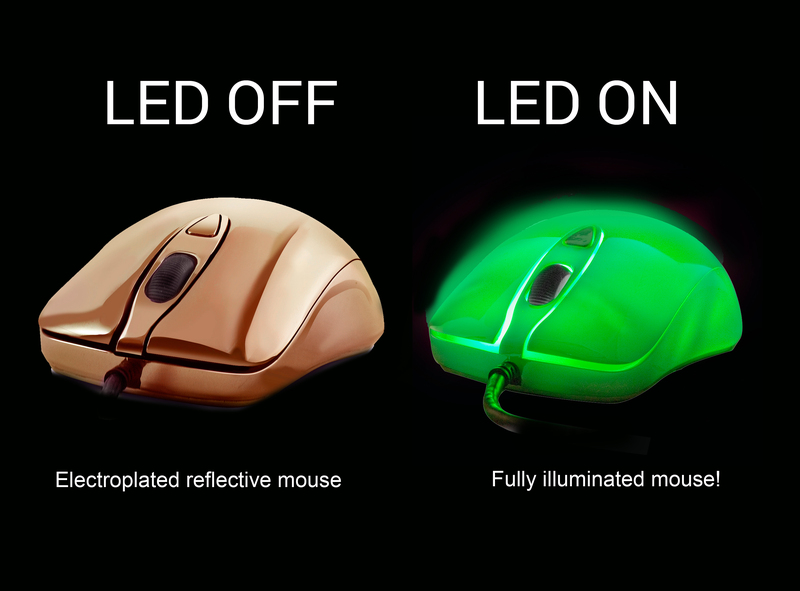 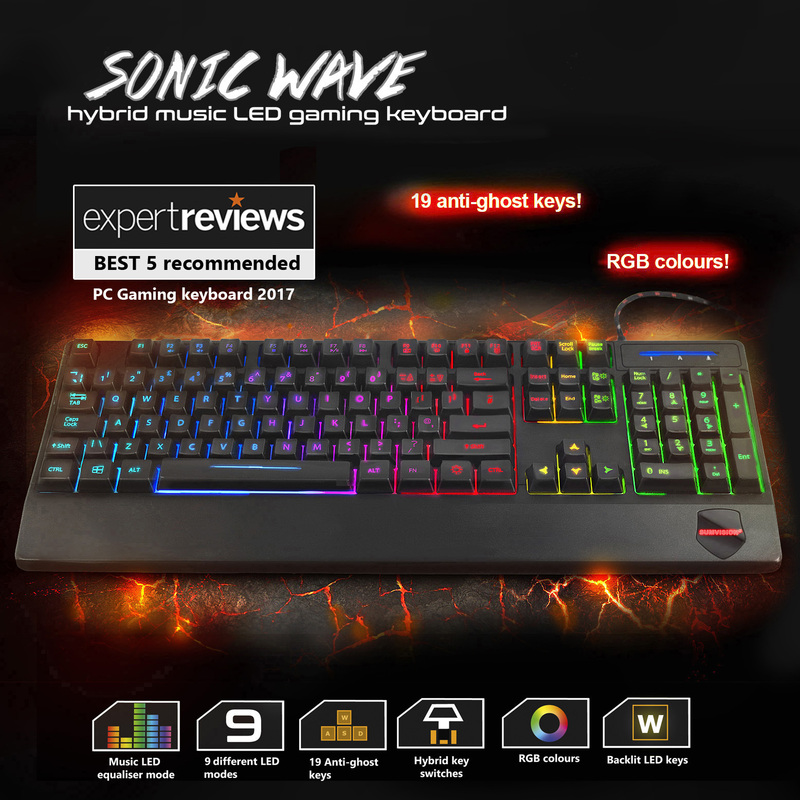 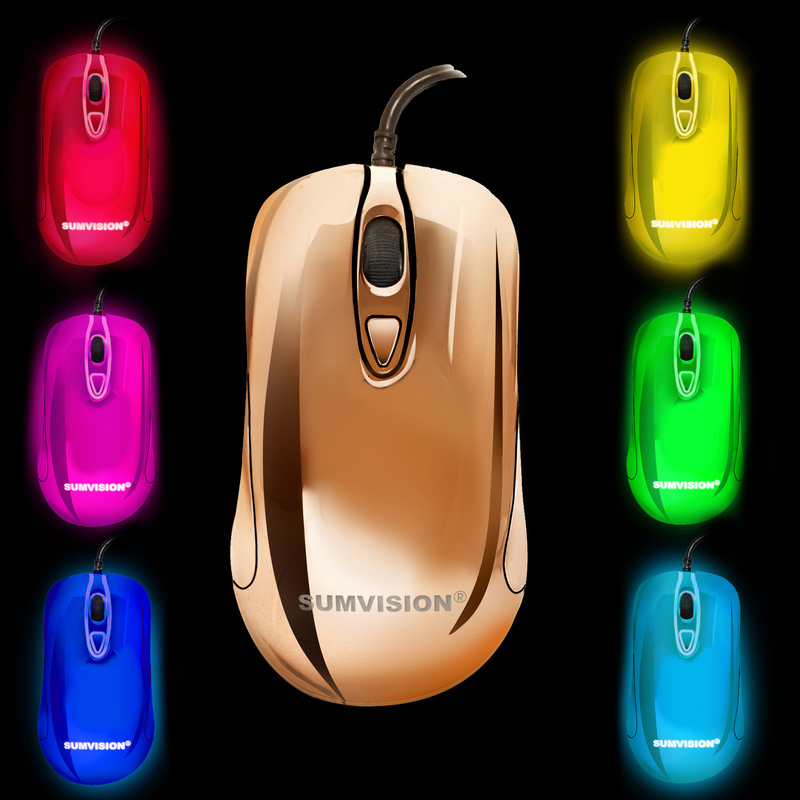 FULLY ILLUMINATE LED MOUSE – The Sumvision PLASMA gaming mouse has full body LED lights with many different colours! 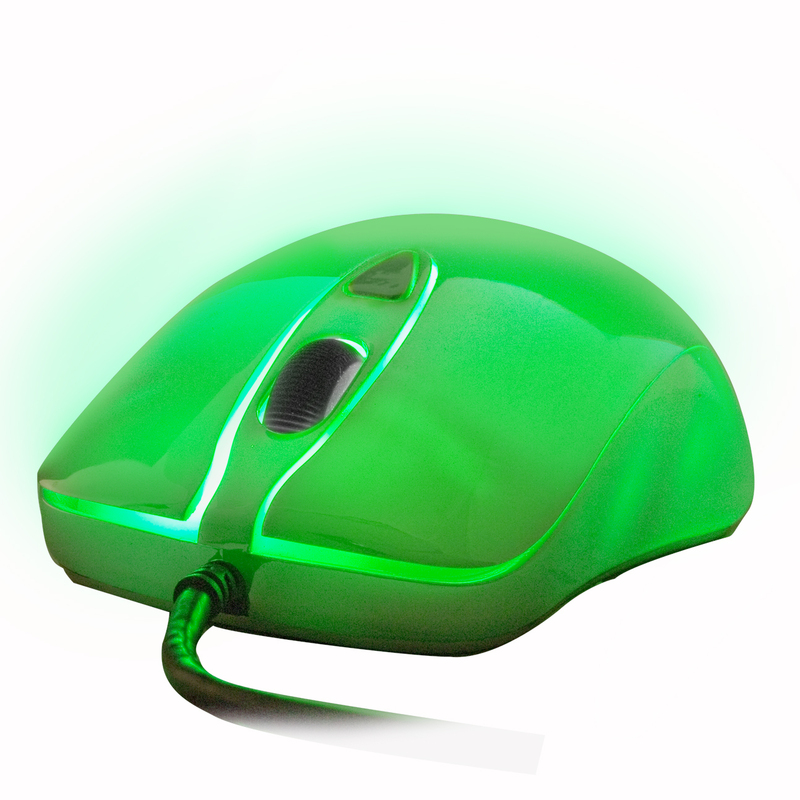 Watch as your entire mouse lights up! 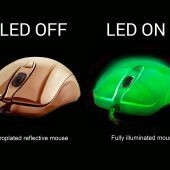 Switch between different colours or lock to your favourite one. 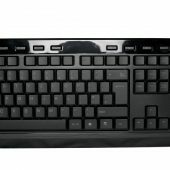 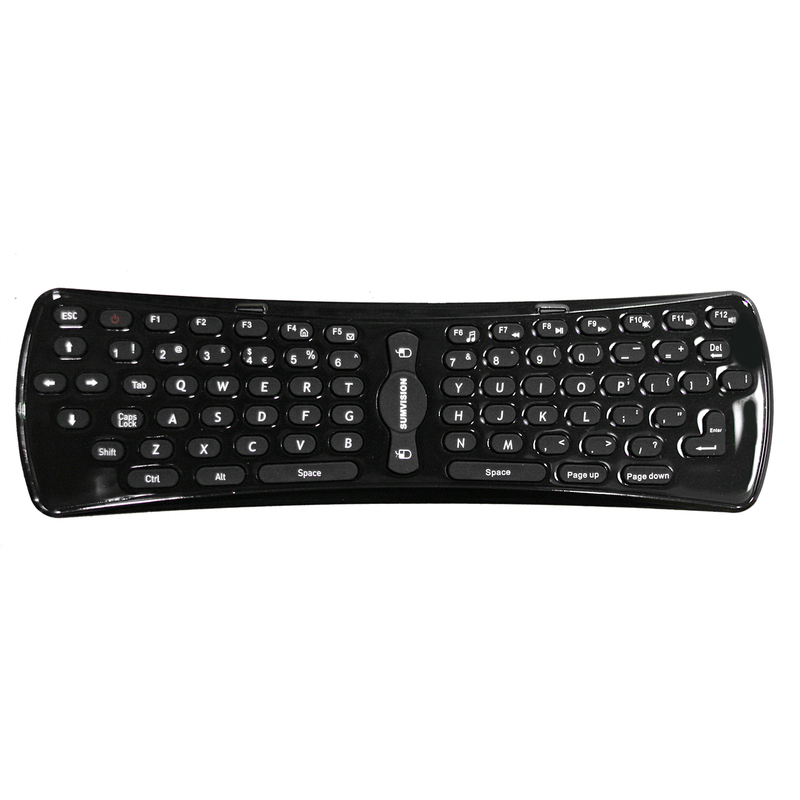 SLEEK AND AMBIDEXTEROUS DESIGN – The symmetrical design provides true ambidexterity for users using either left or right hand. 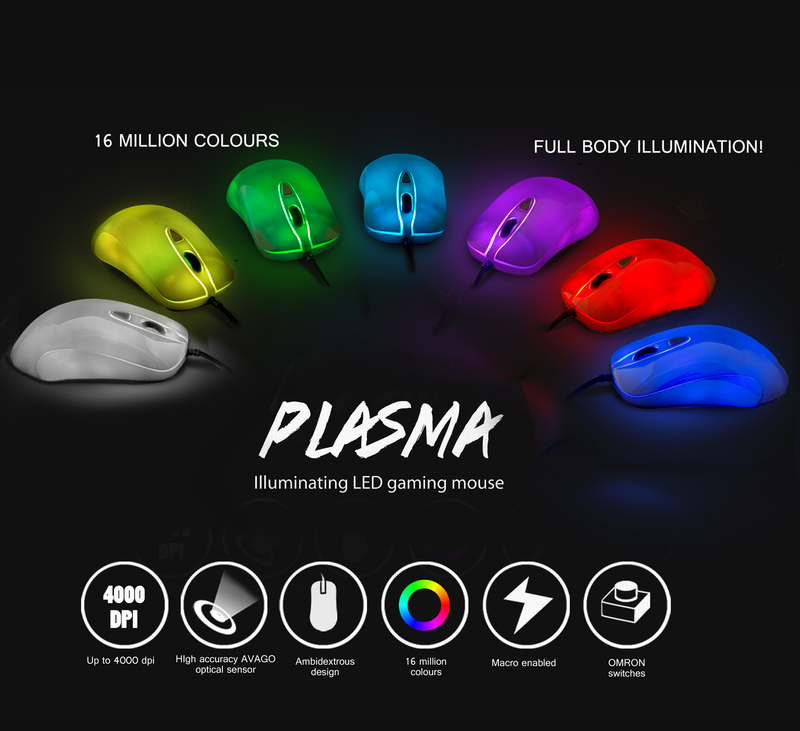 HIGH PERFORMANCE GAMING MOUSE – The PLASMA gaming mouse features up to 4000 DPI sensor giving you a broad range of options to suit your needs. 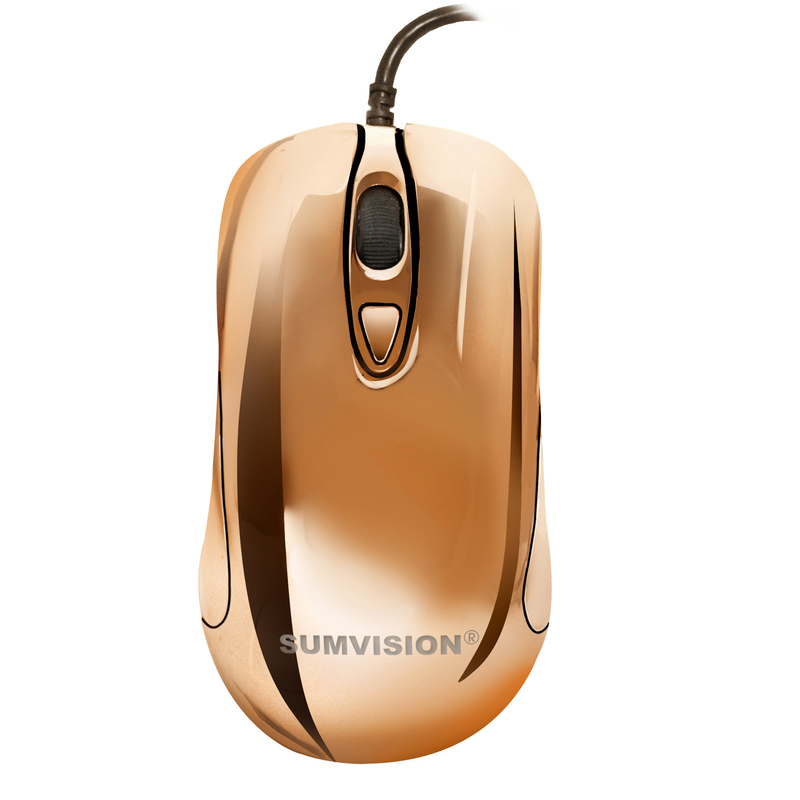 The built in Avago 3050 optical sensor that is capable of high speed movements and will respon with precise accuracy and fluidity. 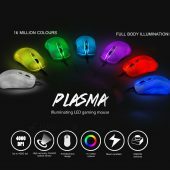 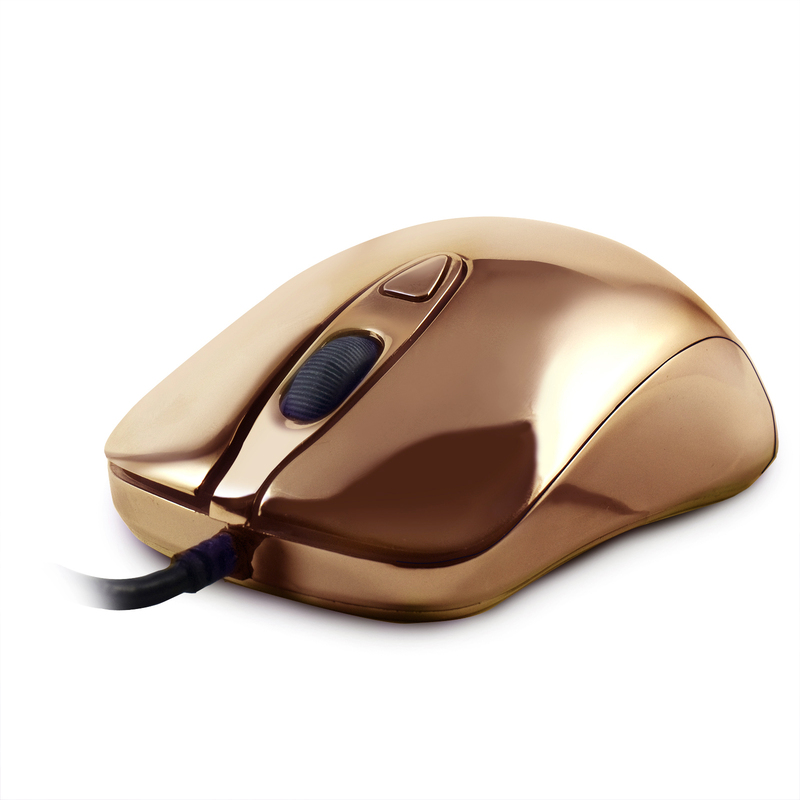 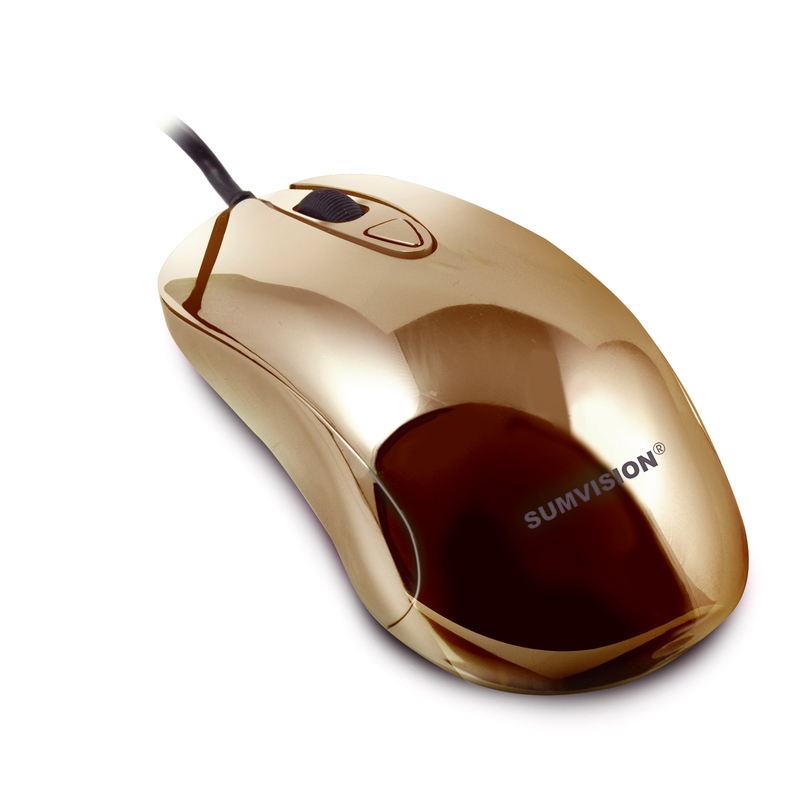 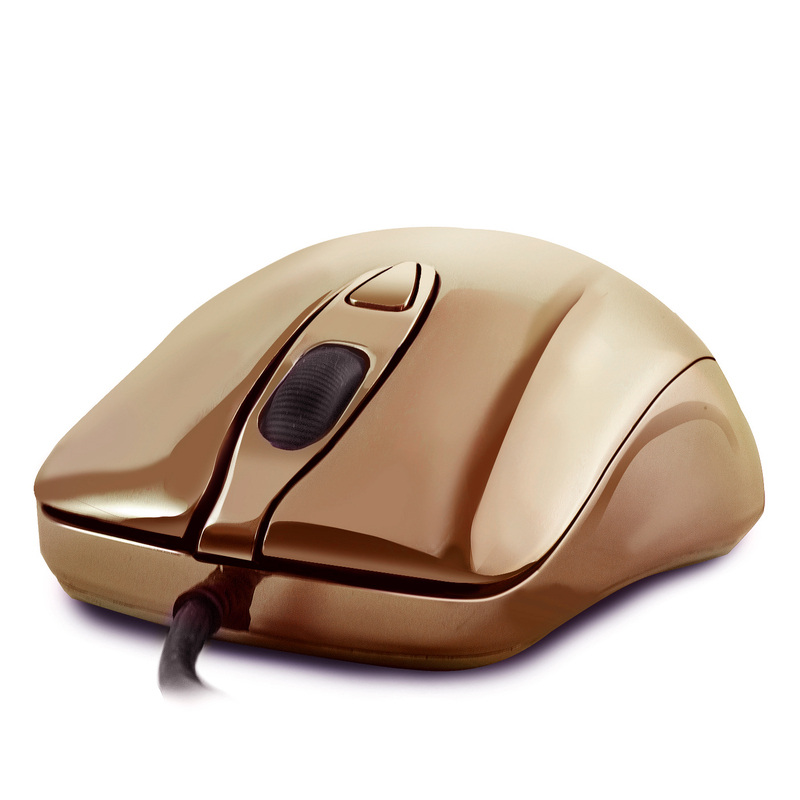 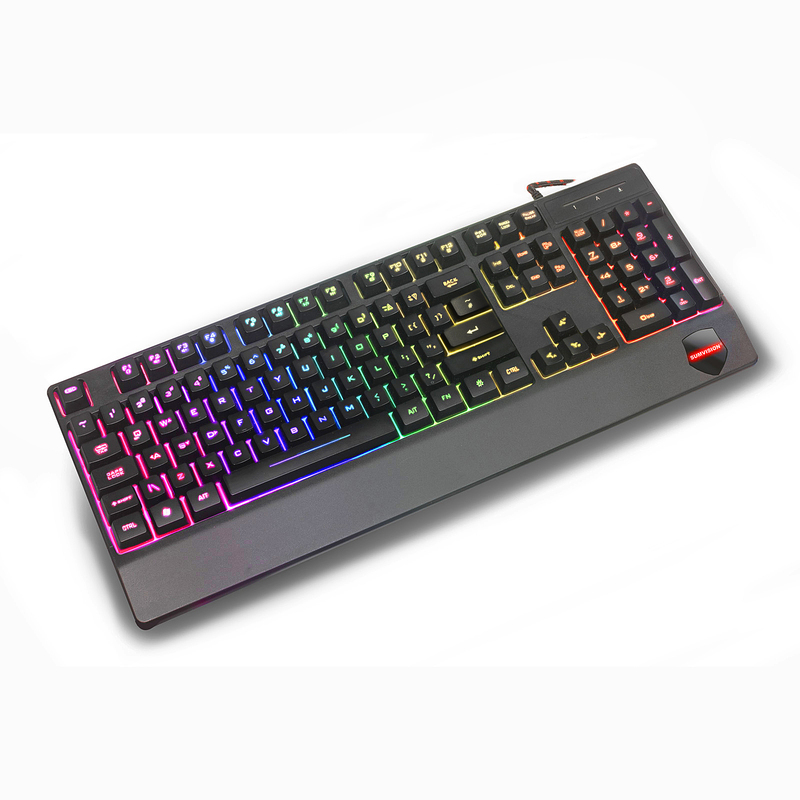 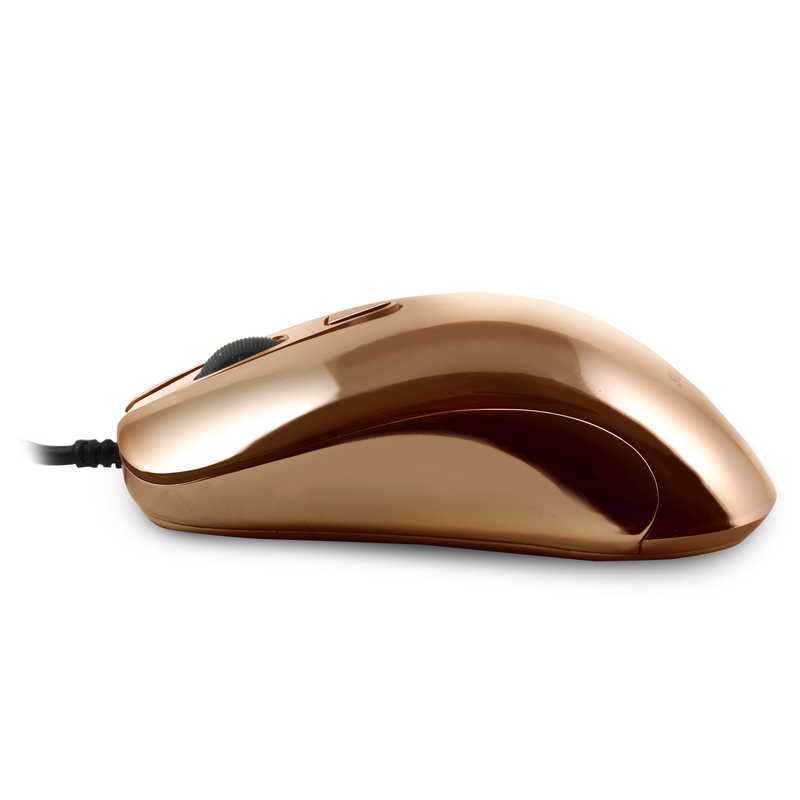 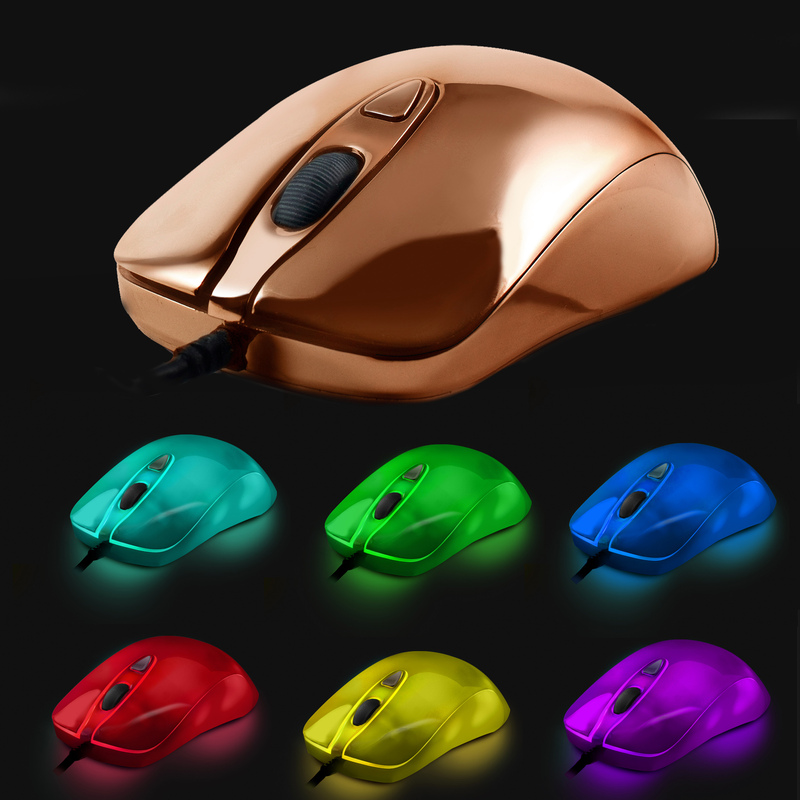 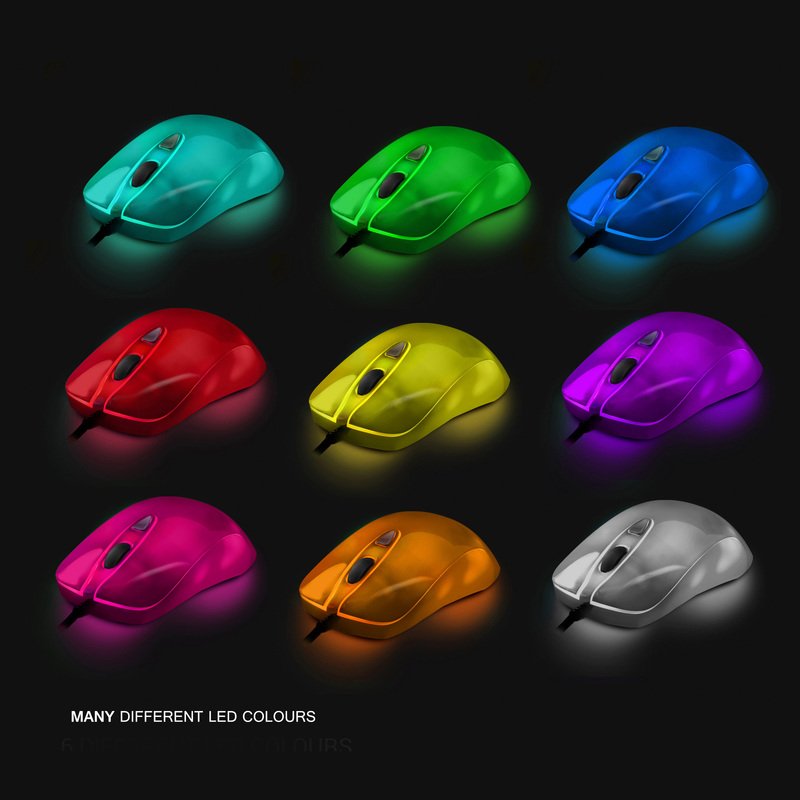 MANY DIFFERENT LED COLOURS – The Sumvision PLASMA mouse features many different LED colours that illuminate the entire mouse! 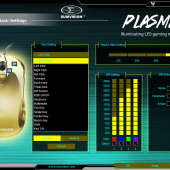 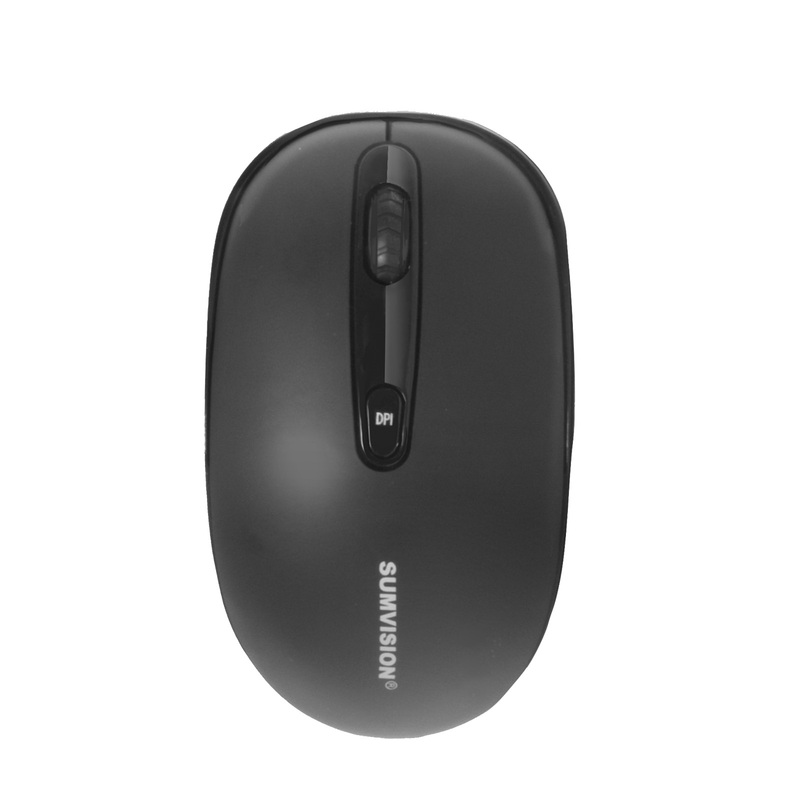 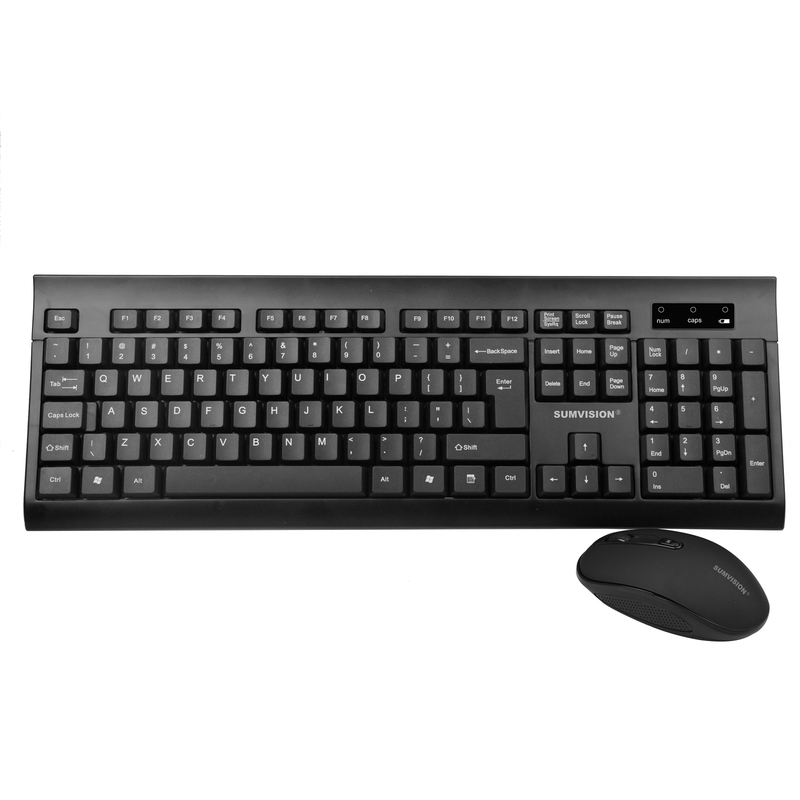 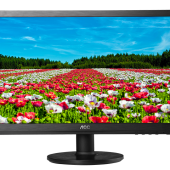 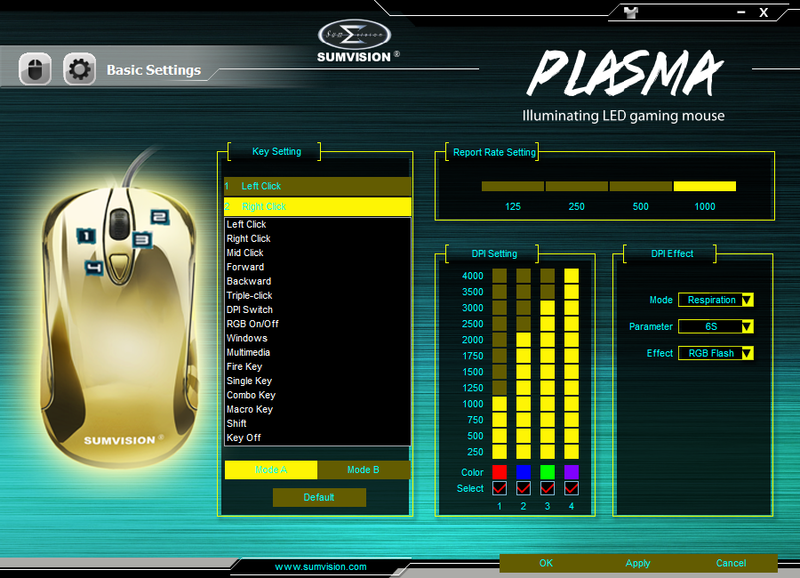 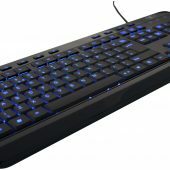 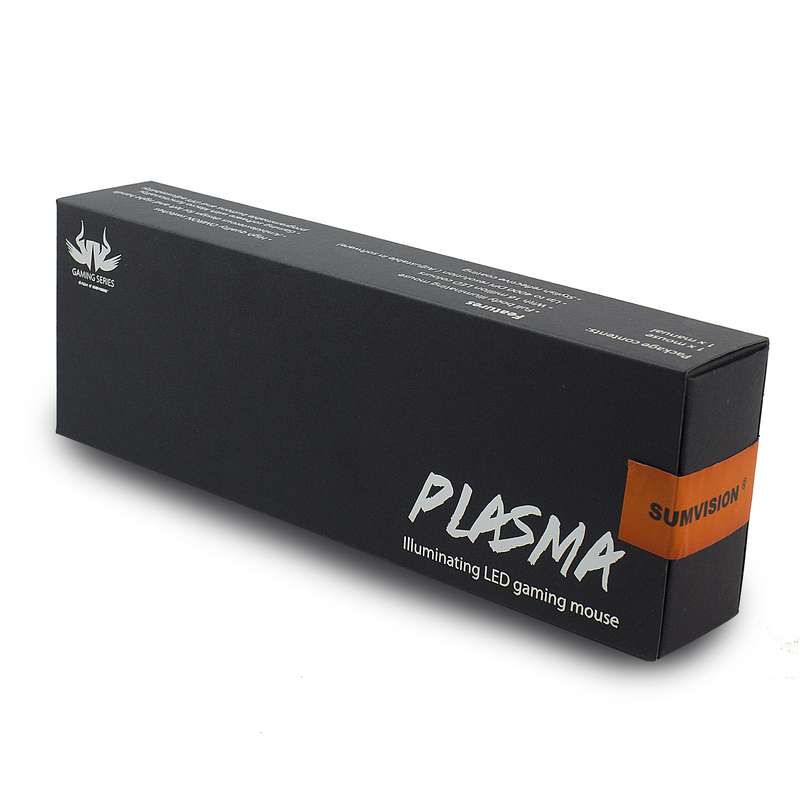 PROGRAMMABLE MOUSE WITH SOFTWARE – Fully adjust and fine tune your Sumvision PLASMA mouse utilising a software engine that is fully tailored for your PLASMA mouse.